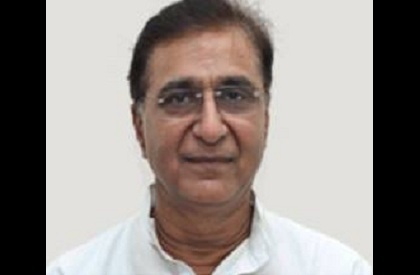 BHOPAL: Senior Congress leader Deepak Babaria, who is party general secretary in-charge of MP, asked Congress workers to learn discipline from the Rashtriya Swayamsevak Sangh (RSS). Babaria, a close confidante of Rahul Gandhi, said that Congress workers should see how there is discipline among the Sangh cadre. Further, he claimed that Prime Minister Jawaharlal Nehru had sought RSS' help in the aftermath of the Indo-China war, and said that Nehru had even praised the RSS. Babaria was speaking in Vidisha. The statement came as a shock to the Congress leaders, especially, at a time when the party is fighting its toughest battle--after having lost thrice in Madhya Pradesh, it faced Shivraj Chouhan-led BJP in the upcoming elections. Babaria was apparently upset because of scuffle among Congress workers. First, he was manhandled after he said that either Scindia or Kamal Nath would become CM in case the party wins election. This had angered Ajay Singh's supporters who assaulted him. Later, in Vidisha too, there was scuffle among Congress workers. After he asked some party workers to leave the dais, there was scuffle and choicest expletives hurled. Apparently, this prompted him to praise the Rashtriya Swayamsevak Sangh's discipline. However, the party leaders were quick to distance themselves from the statement. Congress leaders in Bhopal said that there were not aware of Pt Nehru praising the RSS or that he had sought its help.